A Democratic lawmaker from rural Northern California is finding plenty of support in Sacramento for his push for new state regulations on the growing of medical marijuana. 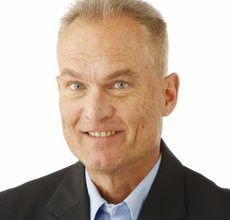 Sen. Mike McGuire of Healdsburg is author of SB643, “The Medical Marijuana Public Safety and Environmental Protection Act.” It won broad backing from the Assembly Business & Professions Committee last week after passing the state Senate on a 26-13 vote in June. Its next hurdle is the Assembly Health Committee; a hearing date has not yet been scheduled. … it is clear that large-scale rogue marijuana grows are having a negative impact on Northern California watersheds. “The impacts are horrendous and the drought has had an exacerbating effect, especially on the North Coast. Entire rivers are running dry as marijuana grows expand and the fourth year of this historic drought sets in,” McGuire said. Rogue operators have cut down tens of thousands of acres of Northern California forests illegally without regard for the environment, neighboring communities, downstream farms, or endangered species. In addition, tens of thousands of pounds of pesticides, rodenticides and fertilizers have been dumped into watersheds that flow through Northern California communities. Rogue marijuana grows are the number one source of sediment and nutrient load in Northern California rivers. The impacts of California’s drought on key fisheries have been of increasing concern for wildlife agencies across the state, which have worked for decades to restore fish populations to their historic levels. In 2014, warm water conditions contributed to a 95 percent mortality of winter run brood salmon in the Sacramento River system. This year, with cold water stocks in the Shasta Reservoir — located in Northern California about 9 miles northwest of Redding—at record low levels, Chuck Bonham, director of the California Department of Fish and Wildlife (CDFW), said the state faces another loss of brood stock this winter. Across the state, there are an estimated 50,000 small pot farms. 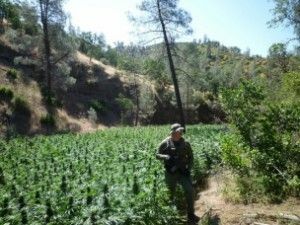 In the last decade, under the auspices of Proposition 215, which legalized marijuana for medical use, there has been a steady increase in the amount of cannabis cultivation in Shasta, Tehama and Humboldt counties, according to DeWayne Little, a lieutenant with CDFW’s Watershed Enforcement Team. A study by CDFW and published in the journal PLOS ONE in March, found that in four watersheds that are home to both coho salmon and large numbers of marijuana farms — which use about 22 liters of water per day, per plant — the pot cultivation drained much of the river’s water … . This sort of media coverage and horror stories in farmers’ testimony to legislative committees are making it easy for McGuire to round up support — even in an era in which old attitudes about marijuana being a dangerous gateway drug seem to be fading. Here’s a link to the official Assembly analysis of the measure. The only formal opponent of the legislation is the Fresno Cannabis Association.